Not so long ago property flipping was the way to make fast profits…now its WEBSITE FLIPPING (learn how here)! You’d buy or build a property, fix it up, add to it, and sell it on for a handsome gain. The key was holding the property for a short period if time, adding value to it, and banking that the market would go up meantime, allowing you to fix it up and make minor repairs, all while it grew, often at double digits. These days there’s a whole new way of doing this – digital property flipping! It works exactly the same way, except most likely you’ll be starting from scratch and you need nothing more than web hosting and a great idea. How does it work? Let’s look closer. The beauty of flipping websites is that you do not have to be the best web designer in the world to be able to profit from this. As long as you can design a basic, visually appealing site which makes money and has potential for growth, you can become a website flipper. This is even something you can do from home in your spare time before it becomes a fully-fledged business. Learn WordPress – WordPress hosts the majority of the internet and this hugely popular platform allows you to pick from ready-made themes and create slick sites ready for the market. 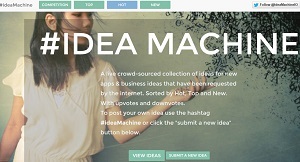 By far the best and most popular website design tool. Learn HTML – HTML is a basic coding language which will allow you to alter and even build your own themes for sites. You can change color schemes and do a few other neat things with even basic HTML. Learn SEO – Learning how to optimize your site for search engine traffic is key. When you go to sell the site on, you want to have as much traffic as possible. More traffic is more eyeballs on adverts, and more sales leads, all of which make your site more valuable to a potential buyer. It’s that simple. 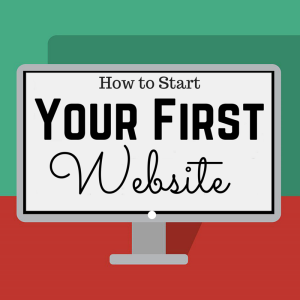 There’s something you need to know up front about websites – virtually everything has already been done, and that’s OK. The reason it’s OK is because you can always do it better, or do it from another angle which in unique and brings a fresh perspective to the niche. Maybe you have a unique writing style, a different take or angle, or a great tool which will make an impact in your industry. Whatever your idea is, assess the competition through using tools like www.spyfu.com and figure out how to do it better. 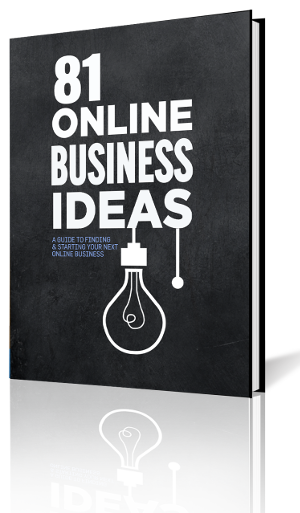 Once you have an idea, there are several ways to generate money for a website. Whichever you decide upon, remember that to attract customers, the key is to create killer content regularly, making readers want to come back for more. Advertise – You can put ads on your site from different networks like Google Ads. These can be either cost per click (CPC) or cost per impression (CPM). You can also offer private banner advertising. Sell Affiliate Products – Depending on what your site is about you can select products which you think your reader would be interested in buying, which another site or business is selling. You can then advertise these and get a cut of each sale. If your site is about gold prices, sell gold bullion through an affiliate. If it’s about travel, sell flights, hotel bookings, and deals. Create your Own Products – This isn’t likely to be something you want to do if your primary aim is website flipping. Since you’re going to sell the site on quickly it doesn’t make sense to create products which may take time and cost money for R&D. It’s still worth mentioning that this is a way to make money online, however, and people sell all sorts of things on the web from books to handmade boats. 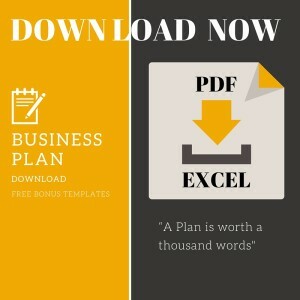 Once you have a plan for how to make money online through the site, it’s time to take action. Domain names can be registered at so many outlets on the web that selling them is a business in itself. Pick a great name for your site which has something to do with the topic and which is easy to remember, then head over to BlueHost, HostGator, or GoDaddy and register it. Select a hosting plan which is right for you, if you don’t know which hosting plan is better you can get help and advice about hosting from this hosting review from The Blogging Buddha. Once you own the domain you can either use their web building tools, or you can install WordPress, Joomla, or other popular web software and use it to build your site. Create something attractive, get the first content lined up, then publish. Make sure you regularly update and replenish the content on your site. You should provide lots of interesting, engaging information for your target market. It’s been proven that those who feel engaged with a site (loyal readers) have a far better chance of becoming buying customers online. It will take up to 6 months for your website to start making any real money. You can easily speed this process up by using Google Ads or Facebook ads to attract potential customers, but keep in mind that expenses will factor in when it comes time to sell the time. Once your site is making money it’s time to get a valuation and see what the market might be willing to pay for this money-making digital property. Head over to Empire Flippers and use their valuation tool to see what your site is worth. A much-used estimate to gauge the value of website is 20 months profits. If you make $1000 a month after expenses, you can sell your site for $20,000. Other factors will weigh in, but this is a good way to get a feel for what your site may be worth. Once you get a valuation you can bring your site to market and connect with potential buyers. Pro Tip: Remember that all buyers want a bargain. You will be low-balled, especially if this is your first time, by those who know what they are doing. Don’t settle for less than what a professional valuation tool tells you your site is worth. If your site is genuinely making money every month there is no need to rush for a sale, and if it genuinely has value the buyer should be willing to pay for it. Once you find a buyer, you can sell your site for a handsome profit. Typically platforms like empire flippers take a small percentage of each sale. You can then rinse and repeat this process, and you can guarantee that the second time you will reach profit a lot faster. You can’t replace experience, and the formula for creating and flipping money making websites is largely the same, regardless of the topic, niche, or content. Once you do it once, you’ll be able to do it over and over again. Bid on the website at the auction, for sale site, or direct to the website owner. It’s sometimes difficult for those new to this business to wrap their heads around how something purely digital can be sold for real money. Just remember that if it makes a profit for the owner every month, it’s a legitimate asset and you can demand a fair price for it, just like any physical, real-world product. 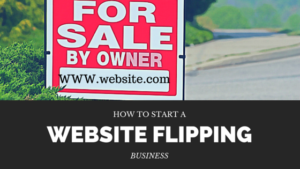 If you love to design, have great ideas for sites, and have the patience to wait a few months before payday, you can make a very profitable business out of website flipping. In a world where even money itself in increasingly digital, there’s no reason why the products sold can’t be as well!